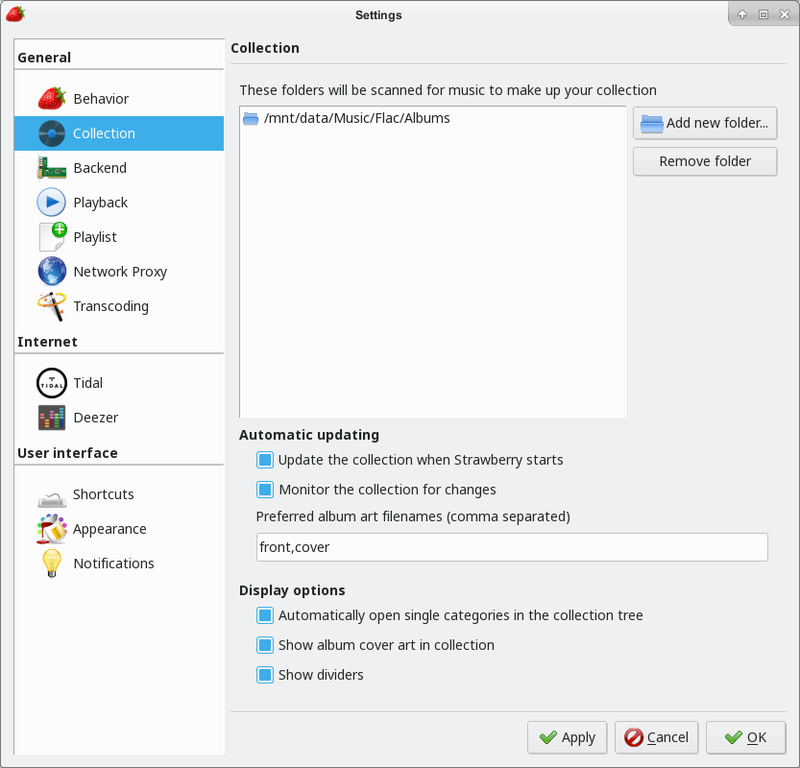 Strawberry is a music player and music collection organizer. It is a fork of Clementine released in 2018 aimed at music collectors, enthusiasts and audiophiles. The name is inspired by the band Strawbs. It's based on a heavily modified version of Clementine created in 2012-2013. It's written in C++ and Qt 5. 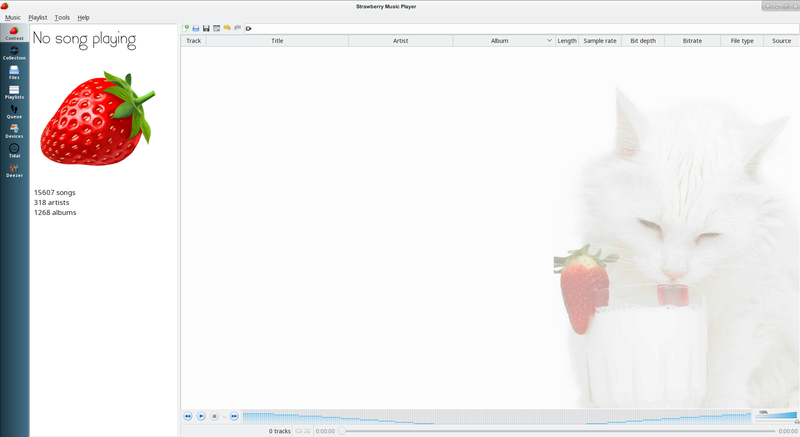 It has so far been tested to work on Linux, OpenBSD, macOS and Windows. 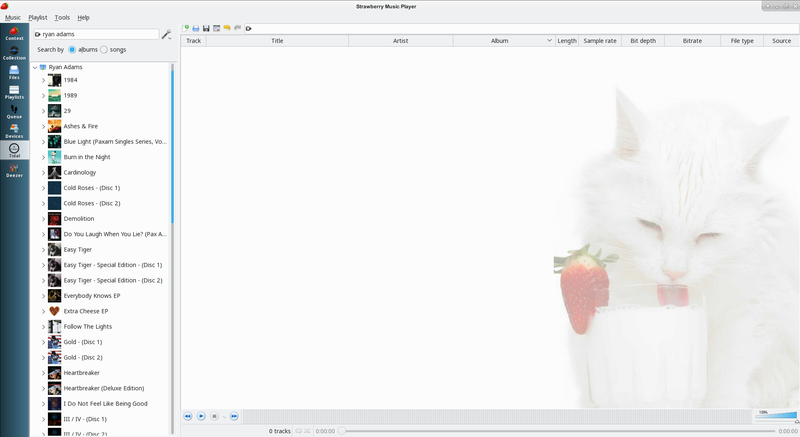 Since Strawberry was developed for Unix systems and depend on things normally found in a Linux system such as GNU libraries, ALSA, Qt framework and GStreamer, it has been cross-compiled for Windows from a Linux machine. The Windows version has shared libraries that are normally in a Linux system bundled as DLL's. But all this is packed together in a Nullsoft installer, and you don't even have to install Qt to get going. 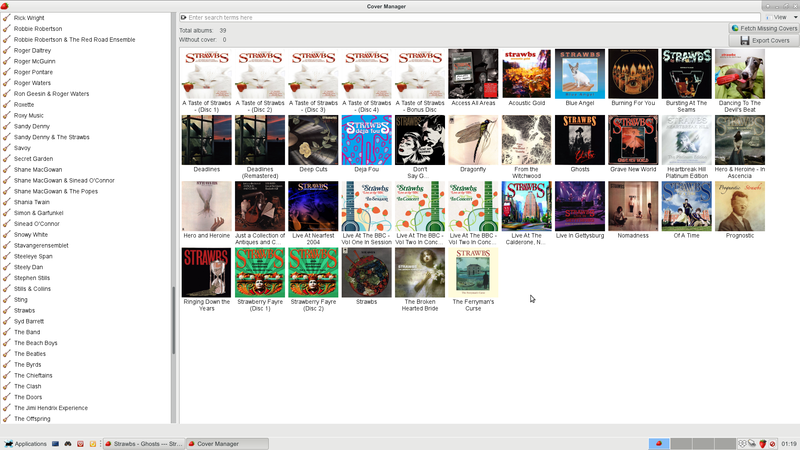 The Windows version is missing some device support for connecting an iPod or MTP device, but otherwise it pretty much got all the functionality. There are no releases for macOS, however development builds are available on http://builds.strawbs.net/macos. Main window with collection information. The GUI is clean and simple. Context with song information and lyrics. Collection with song playing. Tidal search. Playing high resolution audio in 24-bit 96kHz sample rate without resampling. Album Cover Manager for managing album covers for your albums. Collection settings. 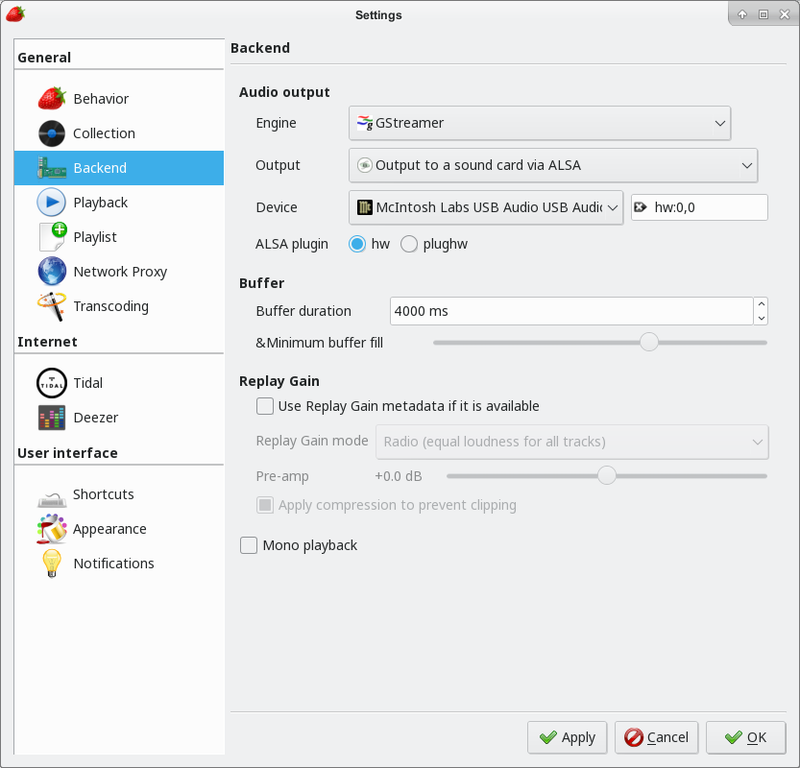 Advanced backend settings on Linux. 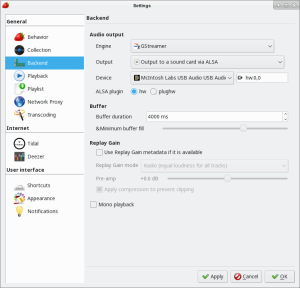 Selecting output device will play without resampling. Tidal settings. Copyright © 2013-2018 Jonas Kvinge - Verbatim copying and redistribution of this entire page are permitted provided this notice is preserved.